Congratulations! You finally completed your website! You’ve spent months, even years, pouring time and energy into this beast. Time to put your feet up, line up three packets of coconut and lychee Tim Tams and decide which Netflix series will be your life for the next two days. Right?... Right?!!???? Getting to this point may have felt like you just ran a marathon, but the ugly truth is, you’re just getting started. If you stop your momentum now, you’ll risk leaving your website to collect dust balls and become stagnant. When your website performance results come to a screeching halt, you’ll be back to square one. But before you despair-binge on those Tim Tams, there is some good news. If you’re in the process of developing a new website or have an existing website that needs reviving, now is a great time to start implementing a continuous improvement cycle. What is continuous improvement and how does it factor into growth-driven design? Continuous improvement is the second step in the growth-driven design methodology which focuses on building a quality, high-performing website over time, rather than trying to pull off the impossible feat of creating a perfect new website from scratch. It is a method for pinpointing opportunities, streamlining actions and reducing the amount of problems your users encounter while visiting your website. 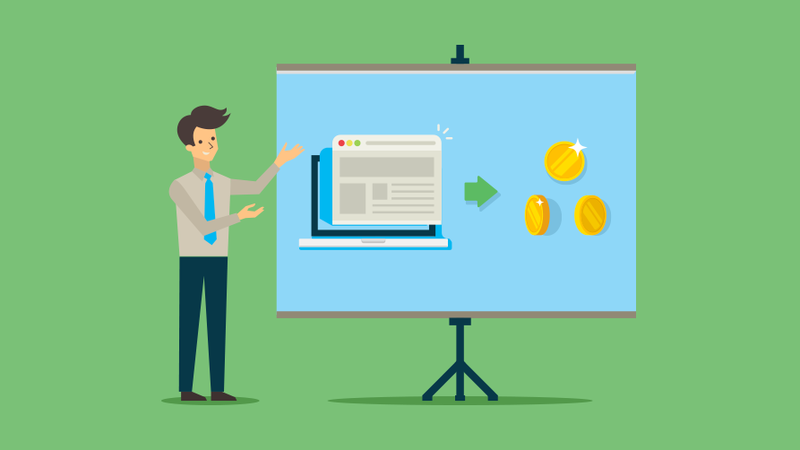 Traditionally, websites are delivered as a project that can easily cost up to $80,000, depending on your technical requirements, and are implemented over a fairly short period of time. The project gets done, usually vastly blows out of scope, runs over time and causes immense headaches for the project manager and designer. After that, the website isn’t updated for a couple of years - presumably to give the project manager time to recover from the torturous ordeal. The issue with this 'set and forget' mentality to website design is that it’s hardly ever optimised for the user. In fact, we can’t actually know what will and what won’t work for them until we put our beautiful website design to the test in the real world. This means that a website that is designed purely based on the taste of creatives and your leadership team will never drive the best possible results. The concept of continuous improvement within growth-driven design is based on the idea that a website is never perfect. It gives marketers a framework to start with a simple website that evolves over time to meet the needs of the user. It’s about making smaller changes all the time, test the impact, learn from it and then further refine your website. It also means that instead of investing a large sum upfront, you start with a more basic new website and allocate a smaller monthly budget for continuous improvement. It’s much less risky than spending all your money on a website that may be less than ideal for the needs of your user. Enhance website content and usability based on behavioral insight – observe how users are interacting with your live website to see how people are accessing your content. Seek to eliminate elements that are blocking them from achieving their goals. Unearth areas of new opportunity – use real user data to search for opportunities to solve the problems your user has when navigating your site. 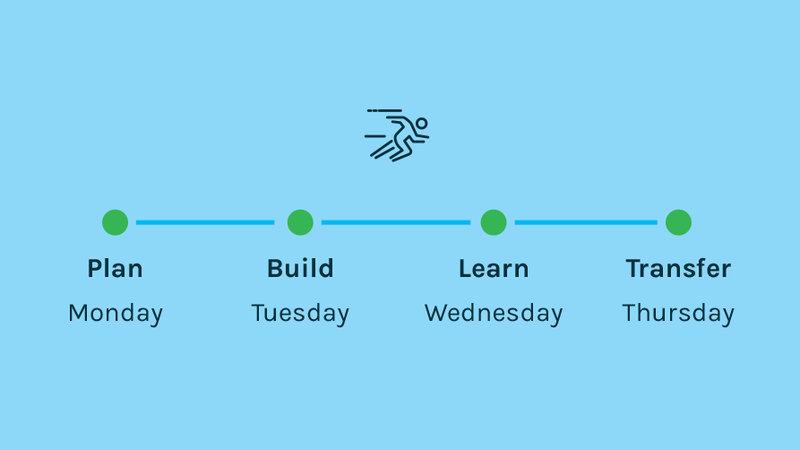 Modify the design quickly – create a culture of continuous iteration as your company evolves, to be open to experiments, allowing yourself to fail quickly and readjust the design. How do you implement the continuous improvement process? There are two part the continuous improvement phase. The first is the website focus points. The second is the continuous improvement cycle. 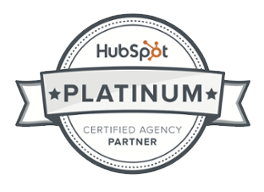 This is a step-by-step process that your team follows while at each step of the website focus points. They work hand-in-hand. 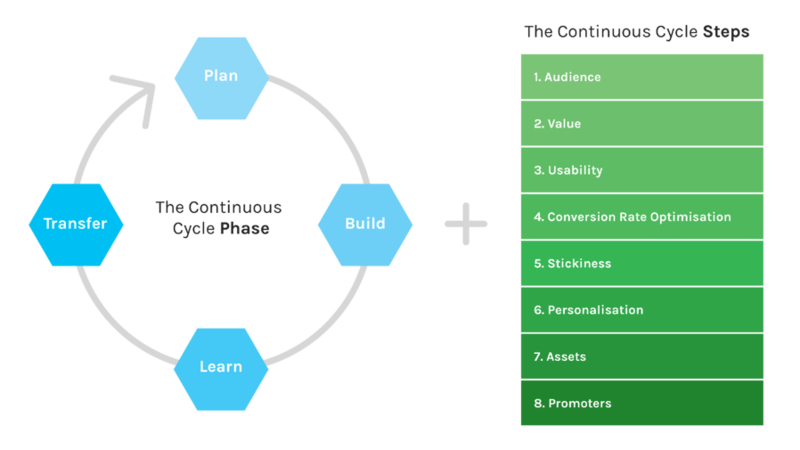 Below is a diagram that you can use as a guide to growth-driven website continuous improvement cycle. Use this to decide what areas to focus on first once you’ve made your launch pad website live. 1. Plan - decide what actions will get you closer to your ‘focus metric’ goal. Compare your current data from the live site to this goal. Do some research to brainstorm and hypothesise how you might increase this metric. Decide on an experiment that can be implemented and tested. Example: What is preventing my users from navigating from my home page to my product page? Hypothesis: The users may not be engaging with the plain copy on the home page and it’s not clear that their next action should be to click on the product page. Plan: We want to make the home page more visually interactive to lead people to the product page. 2. Build - Carry out the action plan decided in the previous step as efficiently as possible. Example: Decide who will be involved, what’s needed to implement, a timeline and prepare for any roadblocks you think will arise. 3. Learn - Let the experiment run it course until you're happy with the results. Make observations and document how your users interacted with the change. Were you correct in your hypothesis? Think about what you’ve learnt from the users and how it affects any other plans you have. 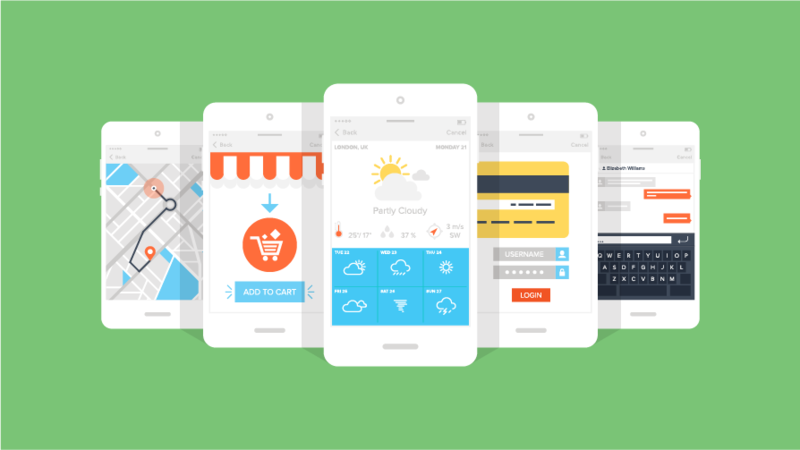 The goal is to gain a deep understanding of how your users operate so you can make smarter decisions and drive value. Example: Our hypothesis was correct. There was a 22% task completion increase on click-through rate on our newly implemented interactive graphics on the homepage that click-through to the product page. This data suggests that users like the interactivity of the new design due to the measured improvement in clicks from the home page to the product page. 4. Transfer - Share what you’ve learn with your whole team! Suggest next steps based on your experience and your learnings. Think about what another team might want to know. Example: Cross-team recommendations: users responded highly to the interactive infographics, therefore we should consider adding interactive visuals on our ‘services’ page to test higher engagement. 5. Repeat this cycle based on the next website hierarchy step. The continuous improvement cycle begins when a traditional website project would end. Each step should be followed in this order to effectively implement the framework. Don’t be tempted to move to the next step until you have completed the preceding one. The idea is to create a focus metric goal to aim for in each of these steps. This will help your team prioritise their actions and know when they have reached this goal, so they can move on to the next step. Focus on one particular area or page of your website and make an assumption about how changing an element will impact your user’s behaviour, then follow the below steps. This is also known as a design sprint. 1. Audience - Does the website have a constant and predictable stream of organic visitors? It’s important to focus on this first, because if you don’t have a threshold of visitors coming to your website, any of your other efforts won’t have any impact. Leading indicators: SEO rankings, the number of blog posts and links. Look at what’s working well on your website and double-up on these areas. Everyone’s threshold will be different depending on baseline metrics. 2. Value - Question whether visitors find value in your content. Do you need to adjust or eliminate steps that are not adding value? Leading indicators: Bounce or exit rate, time on site, social sharing etc. 3. Usability - This step focuses on making sure users can intuitively find value as quickly as possible, complete the tasks they intended on finishing, and leave the site feeling happy and satisfied. Tips: If in doubt, simplify. Don’t make users have to think. 4. Conversion rate optimisation - Take a look at all of the conversion funnels on the site and find creative ways to reduce friction and simplify them so you can maximize the number of users who complete the whole funnel from start to finish. Tips: Isolate those who were successful and reverse engineer what they performed to look for patterns. 5. Stickiness - Are your visitors returning to your website? Leading indicators: Number of subscribers, visits (specific section), social following etc. 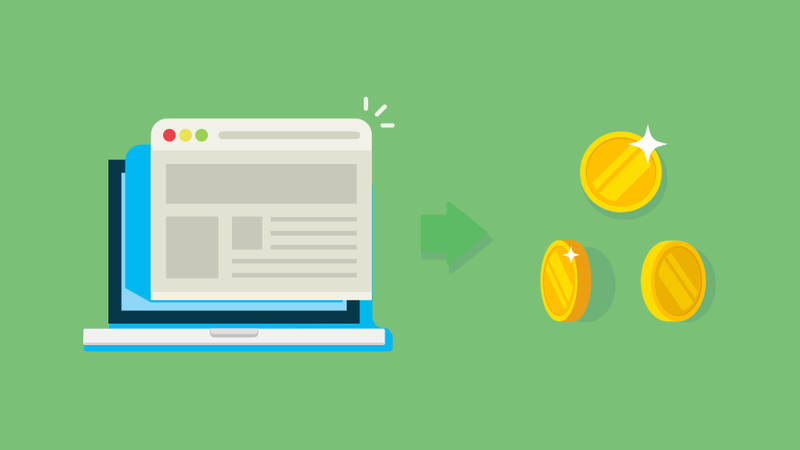 Tips: Give users a reason to return on a regular basis (e.g. new content). 6. Personalisation - How can we start adapting the experience based on what individuals care about and what is going to be the most impactful for each group? How to measure: Set up analytics events for specific groups e.g. number of conversions by geography or lead source. Tips: Consider variables correlated with different user problems e.g. persona, geography, lifecycle stage, lead source. Tips: Your asset should solve a bigger user problem and save them time, money and/or a headache. 8. Promoters - Assessed through net promoter scores (NPS) - can be measured through slide in feature. Leading indicators: Social sharing, email invites etc. All of these examples are just ideas. Adapt these to your own processes, team and clients to find the best balance of value that comes from research, documenting and learning. Making incremental progress and failing quickly is all key to continuous website improvement. If you’re not seeing results on your current website, growth-driven design is a great place to start to move forward. The secret is simply to repeat the cycle we’ve shown you, until you hit your mark. Remember that your website needs regular maintenance to remain current, relevant and user-friendly. Ensure that your team stays on track by evaluating each focused step in the website hierarchy. This will lead to a highly performing, efficient team who can hone in on details and get the maximum value from your website.